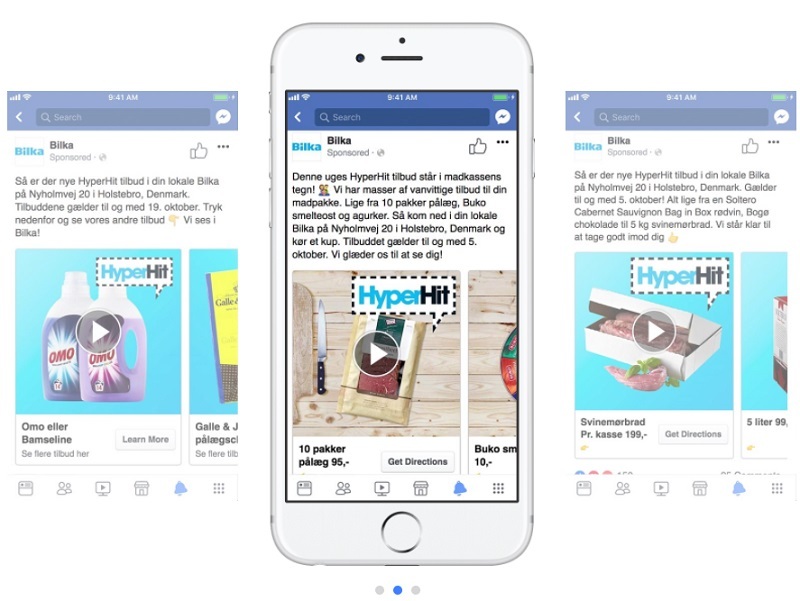 Danish supermarket Bilka used Facebook’s store visits ad objective to encourage people to shop at its multiple stores, helping to drive 45,000 store visits. Founded in 1970, Bilka has been serving Danish shoppers for over 40 years. Now owned by Dansk Supermarked, the chain has hypermarkets located all over the country. Bilka wanted to explore how Facebook can help get customers to visit physical stores using the store visits ad objective and retargeting campaigns. 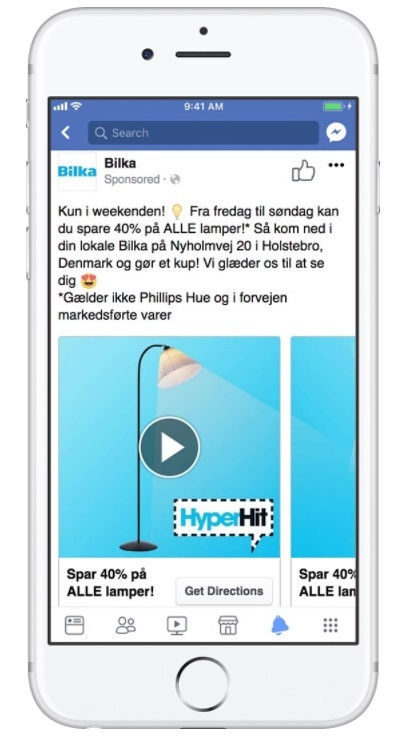 Bilka’s parent company, Dansk Supermarked, was keen to see how Facebook’s store visits ad objective could help drive people into its physical stores. To do this, the brand created a series of campaigns featuring popular products and key offers that would appeal to existing and potential customers and create a high level of engagement. Using the store visits ad objective, Bilka targeted its ads to a broad audience of men and women aged 24–65 in Denmark. A Custom Audience was then created to retarget audiences who had visited the stores or clicked on an ad, to help generate repeat visits. The store visits ad objective helped Dansk Supermarked increase in-store sales and reveal valuable insights for future campaigns. Hans Tosti, Head of Social at Bilka, said: “It is really important that we’re able to see how many people visit our stores, and moreover, to see the cost per store visit at this competitive level is a great success. The new tracking opportunities helped us raise the discussion about Facebook as a marketing platform to another level.